Bags, Bags, Bags! Every photographer has multiples, and each one serves a purpose, and honestly, specific to a venue you may be shooting in. 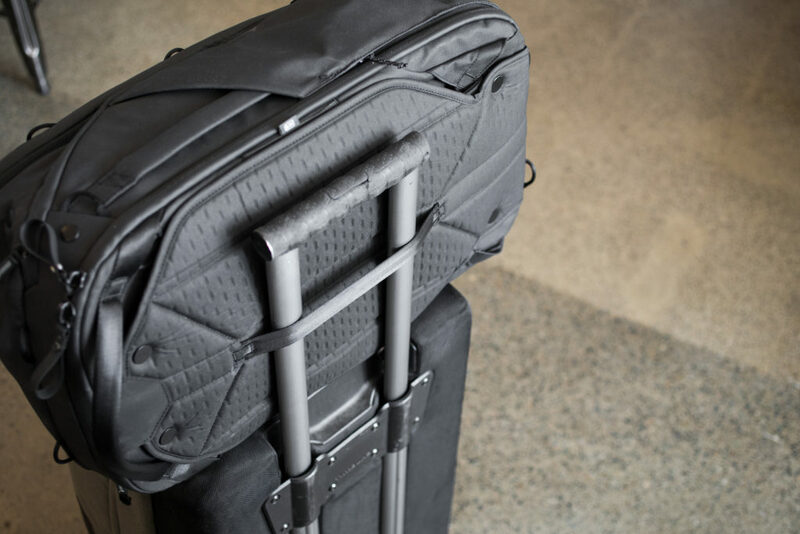 Recently, Peak Design, who has been building and designing some quality bags, straps and camera holders, has moved into the world of luggage. 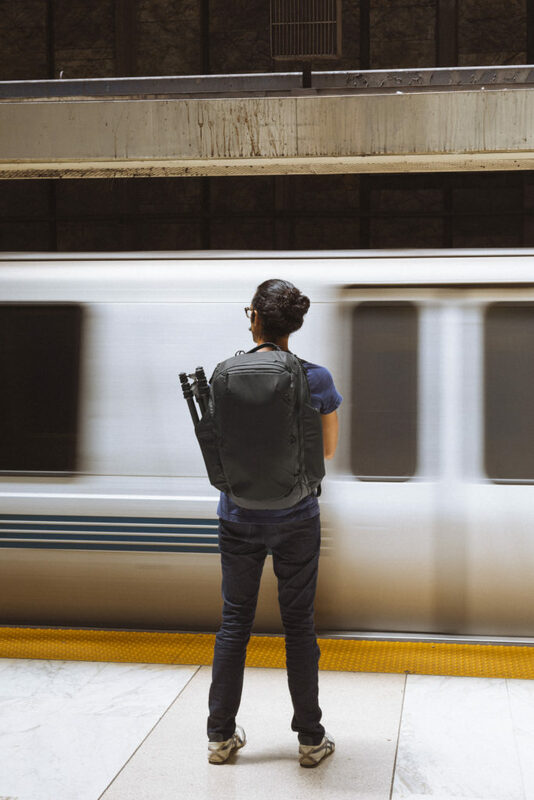 Not your typical luggage, but designed with a photographer in mind. 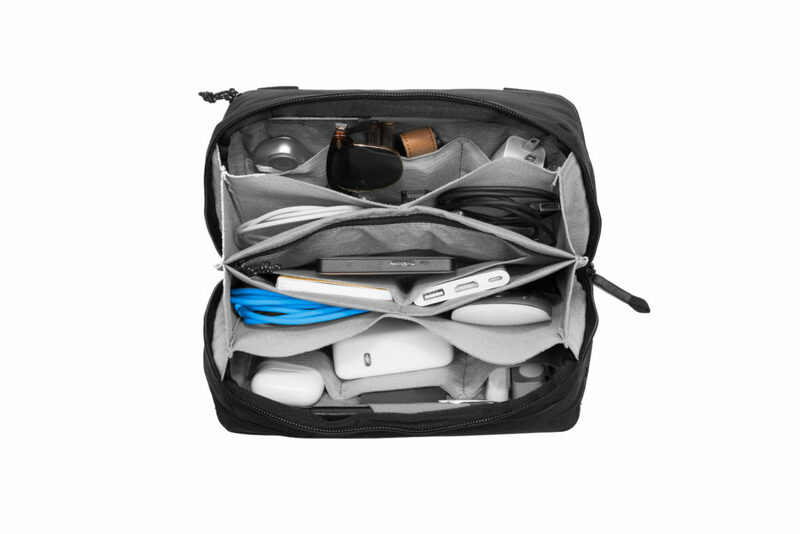 I know that weekends getaways are always on my mind, and packing a few different bags, adds to the carry situation. I just need it for the weekend! 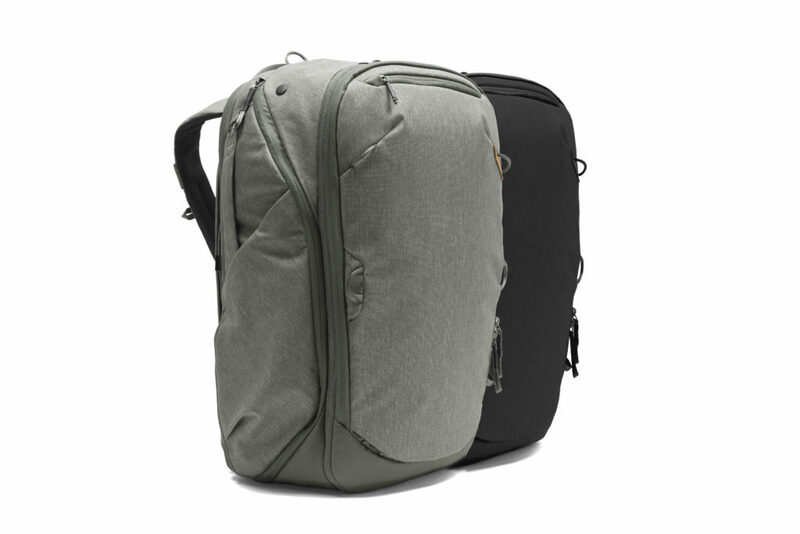 So they are looking to fill that short trip niche with the new bag: The 45L Travel Backpack! 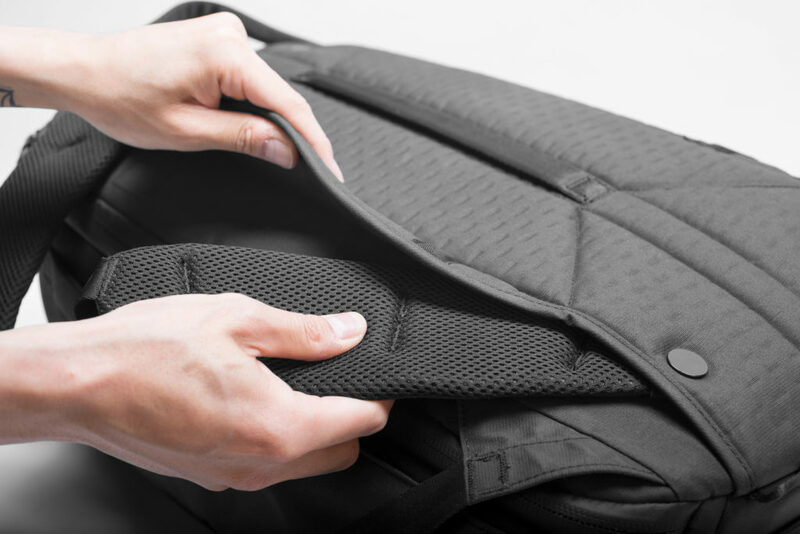 Taking into account the sleeker design that has been their hallmark, they incorporate a few of the backpack features that you are used to. The backpack straps, hideaway beautifully, and so you can use the many handles strategically placed, around the bag as a carry option. The sides give you easy access to the interior which is more where the uniqueness comes out. 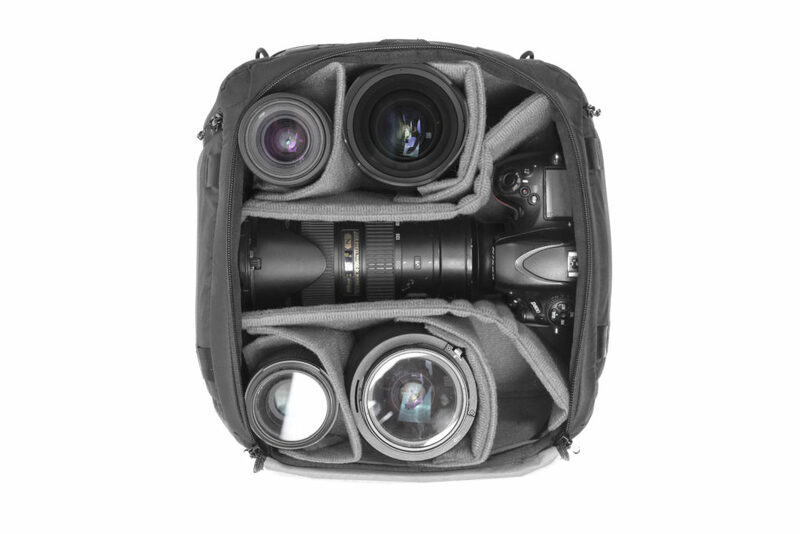 There are camera cases designed to fit perfectly in the interior, with their trademark oragmi dividers. 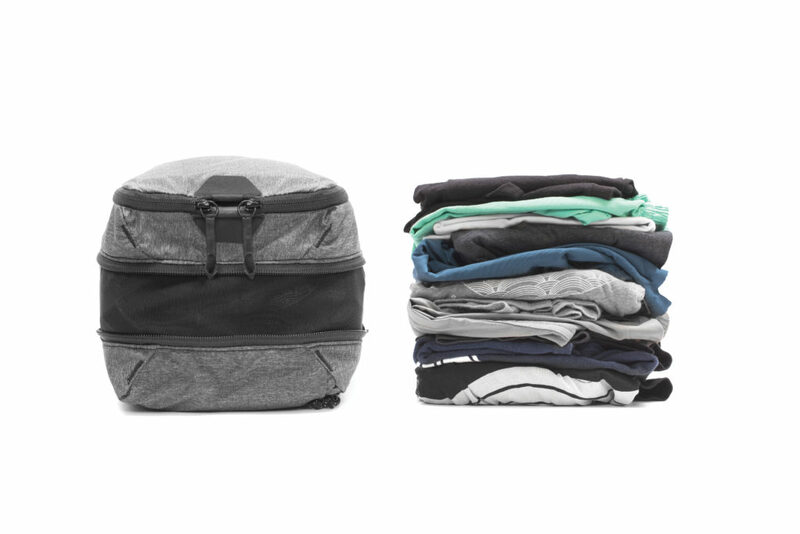 Pick the size cube you need to determine whether you want all of the backpack for gear, or split with clothes and other items. 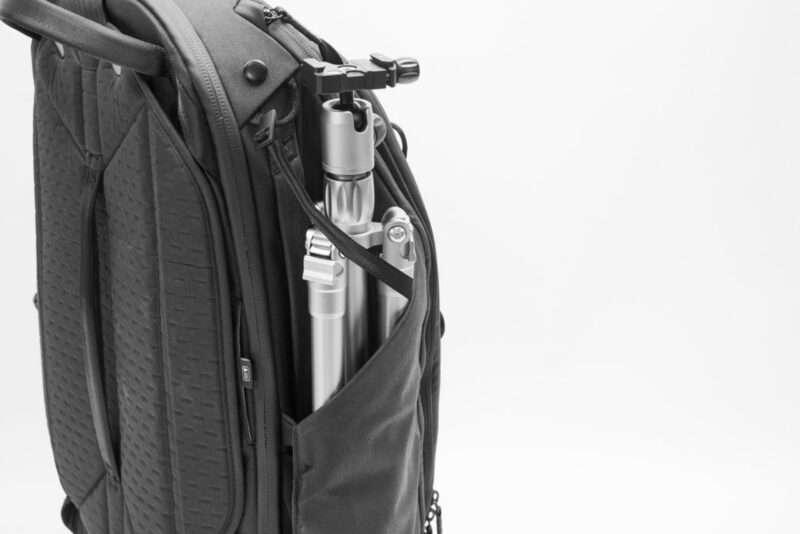 One thing that I have wished for in the Peak Design bags, they now deliver: Side pockets to give you access to small items, or the omni-present water bottle 9or tripod)! Huzzah! it is now here in this backpack. They have also introduced 2 new travel pouches, one which I love, and the other, still not sure about. There is a tech case, that is brilliant! for all of your cables, wires, adaptors, even a battery charger for your phone with a hole leading out for the charging head! I have been using Muji mesh bags, but this is a much better solution. A Space for everything and everything in it’s place! The other case is a toiletries kit, or dopp kit. 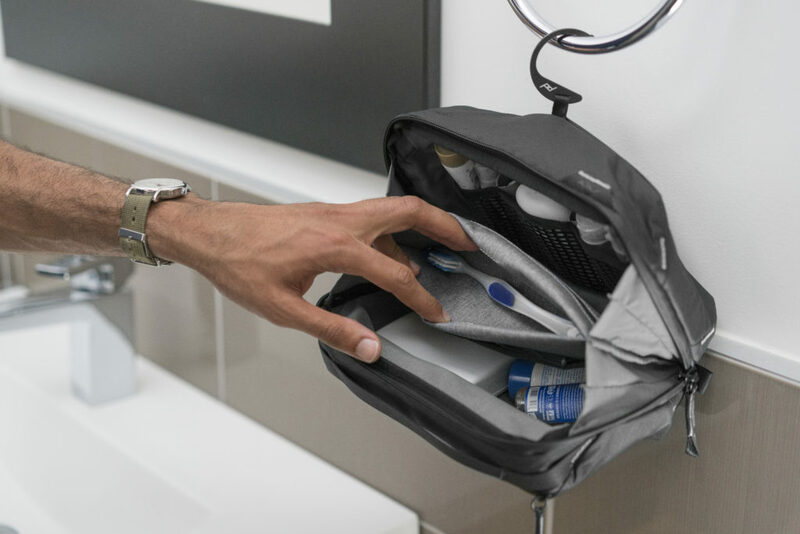 I appreciate the thought, but in the pre-production model there were some questions: In my other travel dopp kits, I can hang the case, and all things are revealed and easy to access, This one has a short hook, that opens the case to you, but doesn’t feel secure. Sitting on a shelf, or a bathroom top, no problem. 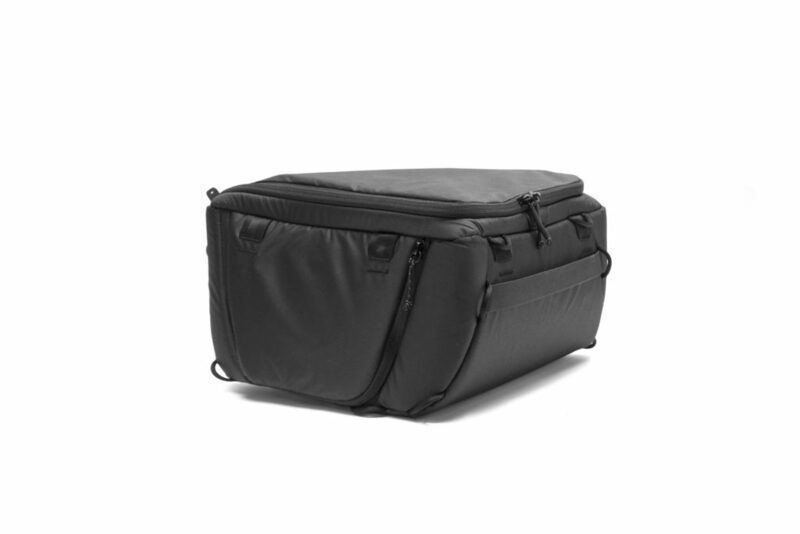 Another great thing are the strong, yet thin, packing cubes. With a way to adjust the height for all of your weekend clothes, plus a separator for clean and dirty, these are also going into use immediately! True, this next pic shows a few more T’s than needed for a weekend, but you get the idea of how the cube can be expanded to hold more. And some small shoe bags to round out the system. 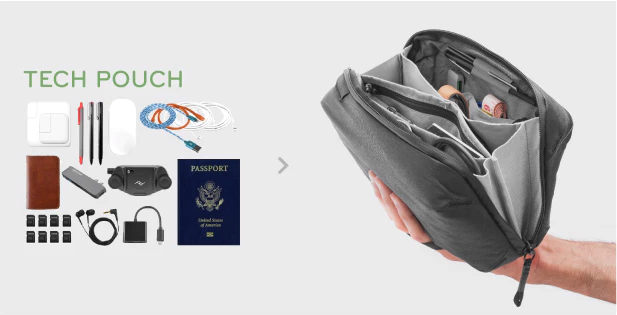 Overall, this bag system, fits in just right for weekend trips. 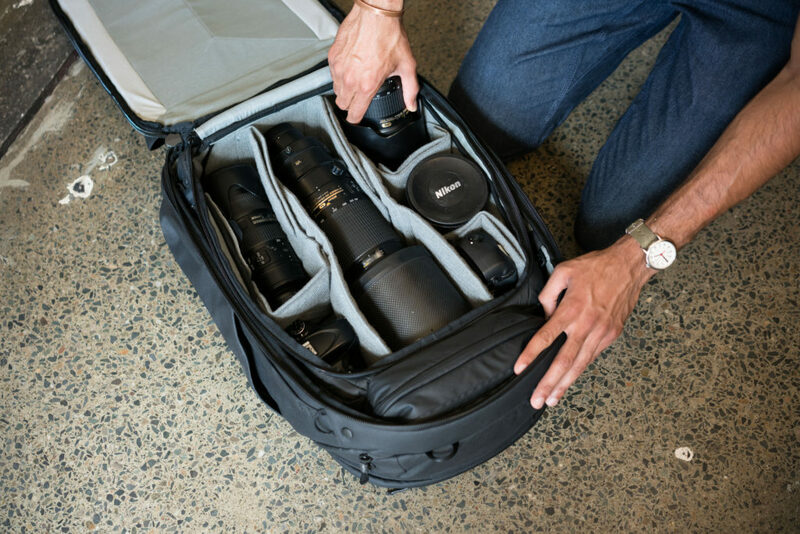 There is one addition I’d like to see: a great place to put a camera strap so you can hit the AirBnB, put down the bag with clothes, toiletries, extra shoes, and just lift out the camera bag, and start your walkabout. I will add the strap myself, and see how the design works out. This was a pre-production model Im looking at, and the overall functionality is good. Plus, it looks great. also will hook onto your roller bag if that’s the way you want to go. Well, it’s on Kickstarter right now. They also just added some duffle bags to the line-up. Not quite my deal, so just looking at the camera bag aspects. Since it’s Peak Design. you can rest assured they will deliver. I have had some dodgy deals with a fewKickstarter deals, but this company is straight up. 8X they have delivered, so all good. Get in on the good deal, and back by Thu, September 20 2018 8:00 PM EDT. for the best price. 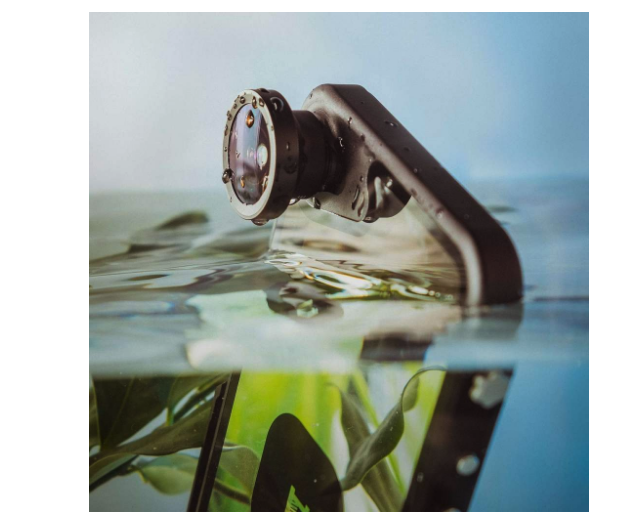 HitCase has come up with a great solution to the underwater smartphone! You know, I waited until the new iPhones were announced 9/12, to see what the new features were. And the sizes! Apple has added 2 meters deep, and 30 min underwater, as a new feature of the latest Phones, which is pretty darn good. 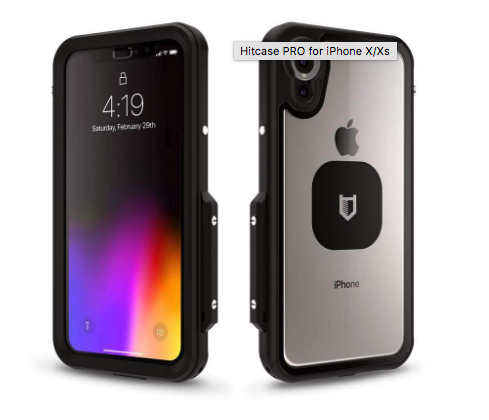 Seems like the current cases for HITCASE PRO will fit the iPhone Xs, and cases for the rest – Xs Max and XR, delivery by Nov.. Good for them. Case companies have to go crazy every year when Apple announces the new phones! And as consumers, we get to buy new cases. WooHoo! So why do you want this case? 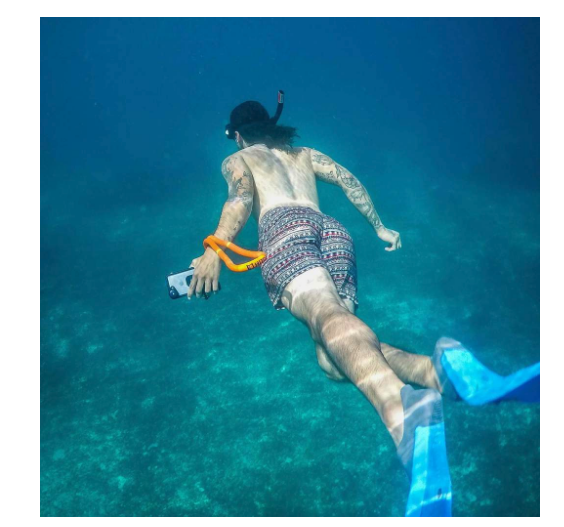 How about you may be underwater for more than 30 min, go deeper, and protect that darn phone! Anyway, I took the HitCase Pro with me on a trip to Hawaii, along with my other gear, and yes, a gopro aw well! I snorkeled daily and wanted to be able to capture some of that experience, at least just for me. The HitCase was put on, and it’s waterproof capabilities were not oversold! 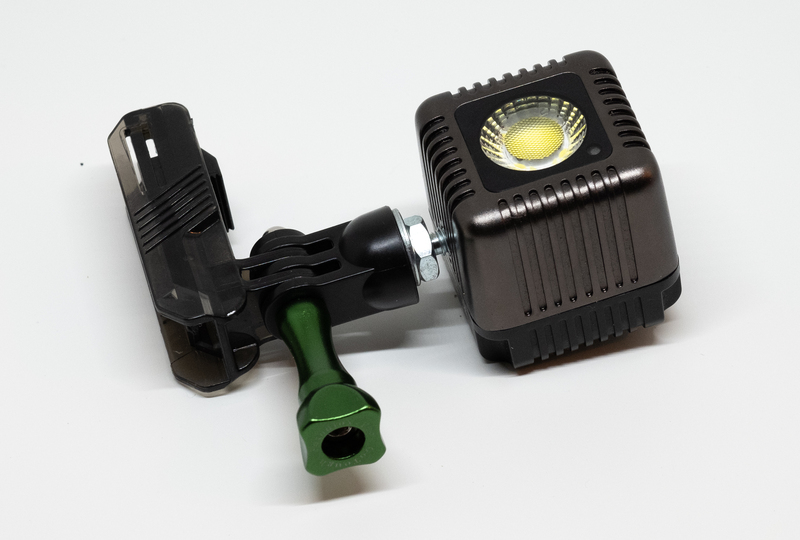 IP68 Waterproof rating up to 33ft/10m! heck, yeah! It has a waterproof clear seal, and that can be removed, for the front. This enables you to use all of the touch screen capabilities of the phone. In all honestly, it behaved as expected. Not extremely sensitive, but was able to control all I needed. Waterproof, AND shockproof (Drop-proof to 16ft/5m – MIL SPEC Shock rated)! This case is rugged, and surprisingly slim to the fit. Not the huge bulky rugged case of old. Oh, no! So overall, even though Apple has upgraded the new phones, this case will enhance the capabilities by far. They do have a selection of waterproof lenses: macro, wide, and fish-eye, and I hope they add a tele lens soon. They attach by screwing on to the case (sweet) and if you use their non rugged case, they can be attached by magnet. yes, they do have a classic daily case that looks like every other case out there, except for the mag lens attachment. It has a runner rail where you can add attachments. This was huge on the trip! 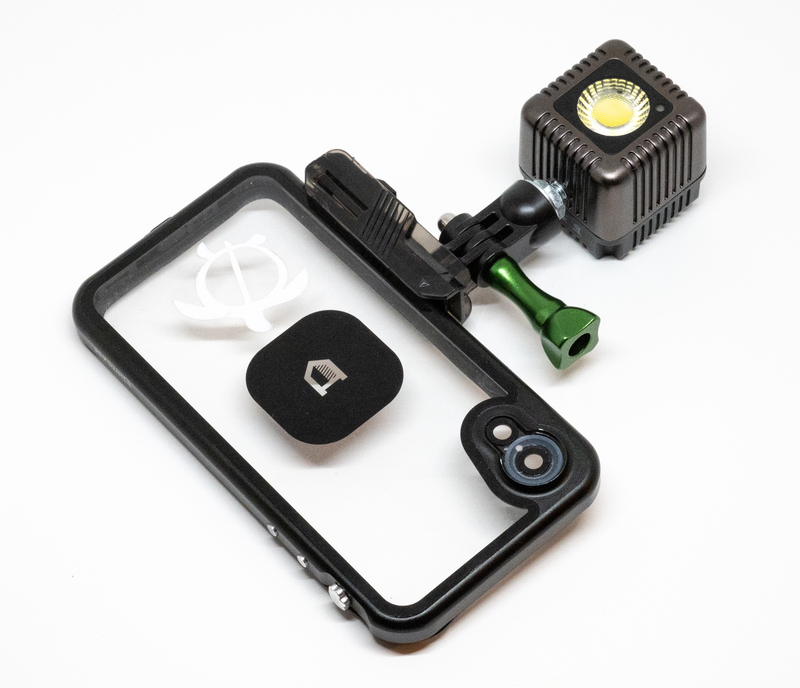 I added a tripod mount with a 1/4-20, and added a LUME Cube light, great powerful waterproof, small light, for the underwater goodness! In truth I did work that rig out for my gopro as well, so it was a small transition to the HitCase and Smartphone. I was a bit trepidatious about putting my phone under the sea, while on vacation. What if it got soaked and i was out of phone? Good Lord what would I do? What you do is, close up the case, and put it in a sink of water without the phone! Then check for leaks. Good test. There are other accessories, like a floaty strap so you phone always floats to the top. I would only use this in a pool, as when you catch a wave, who know where it could go. A little more activity! Another plus is the protection while you are hanging on the beach, and want to make sure your phone is protected. Overall I was very happy with this product. Being solo, leaving a $1000 phone on the beach while I looked at pretty fish, was not so calming. Having it with me, and using the wrist strap, while being able to shoot video in the ocean, was a game changer. So much fun. And for you skiers, and skateboarders, this should satisfy your needs as well! About $100 for the initial set-up. It’s always been time for smoother, tracking shots. Handheld with image stabilization is cool, although not for most things. I have been on the hunt for a right solution for a one-man operation for years. I’ve bought them, and sold them. Back when I started Photoinduced in 2005, it was a Steadicam as first choice. Incredibly expensive. Then GlideCam came out with an alternative, with vest. Only about $1800. The HD cameras were big and heavy so you needed a bigger rig. Then the Steadicam JR for smaller vid cameras. Glidecam also has the smaller, non vest version as well, which is big, and a huge pain to balance. For me, anyway. Slowly the market came around to the advance of smaller 4K cameras, with high end pro capabilities. Balancing nightmares, to forearm strength gaining, to back issues. Gimbals were coming, but not all the way there. Worked great with my GoPro, but a real camera? 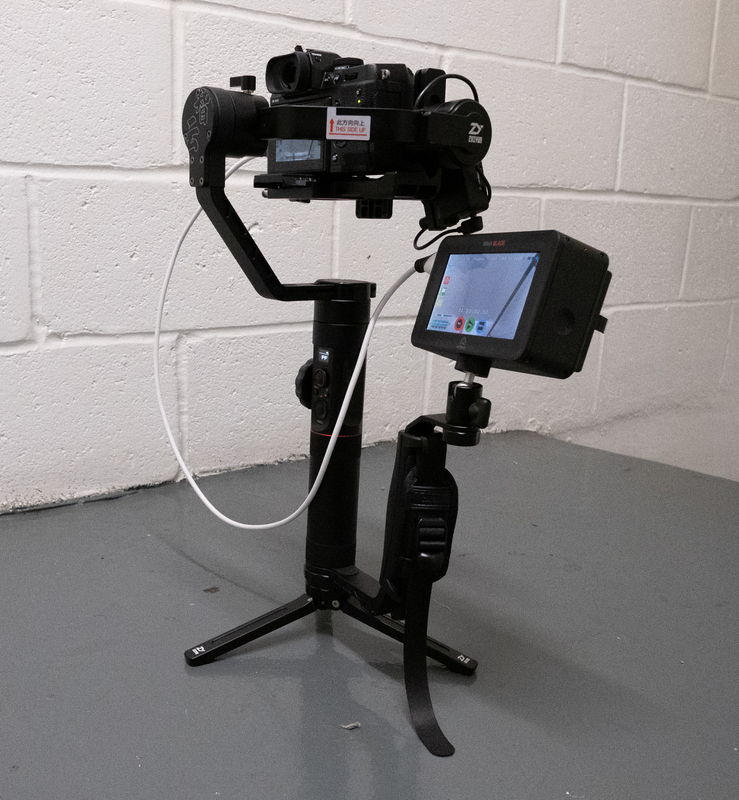 Finally, we are now in a place where you can get that smooth tracking shot you want! The combinations of the 3 axis gimbal, and 4K camera combo has advanced to a place where that smooth move can be achieved with much less aggravation. Now, to be sure, using that tool for a shot has to be dealt with judiciously. Like a drone shot, you need to use sparingly. Unless you are doing a Blair Witch reboot. Before I jumped into any system now, I do a ton of research, and hands on checking. 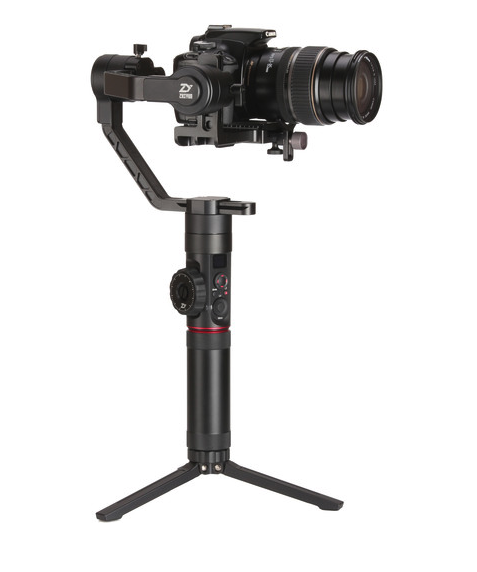 The current viable tools for me to consider were the DJI Ronin-S, just released, and the Zhiyun Crane 2. Similar on payloads (7-8 lbs), features, both limited on camera systems to take full advantage of features, tripod base to ease balancing, well built, solid units. Simplest reasons? Weight (lighter than the DJI by more than 1 lb. 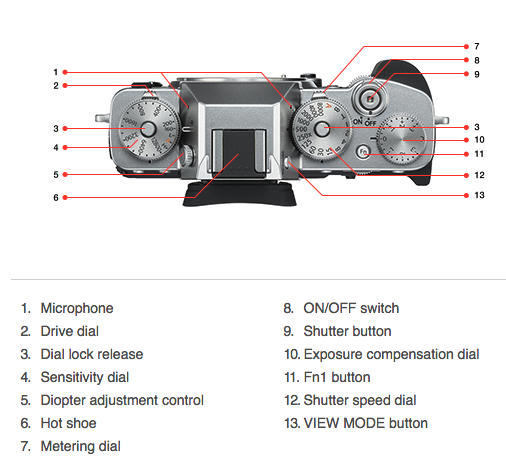 ), focus motor to uses all lenses, and thinner grip. Cost was comparable, Zhiyun a little less expensive. When you figure out how much time and how nimble you want to be while operating, weight is huge. 2.76 LB for Crane 2, 4.1 LBs for Ronin-S. % wise, that is a big diff. Also it uses a Manfrotto quick release base plate, which moves it into my gear eco system perfectly. Go from gimbal to tripod easily. There is a follow focus motor that allows me to not only do follow focus, but rack the zoom, without rebalancing! This was a $130 add-on, now included. They had to include, so non-Canon cameras could be used for follow focus or zoom. Not there on the Ronin. 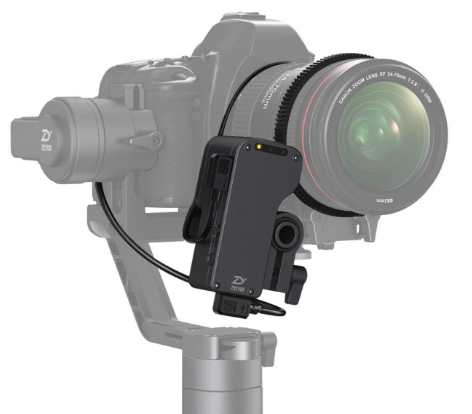 Now, the Ronin-S has moved the roll motor so it sits below the LCD, so you get a clear view. Nice touch. Although I use a side monitor. For right now, the Zhiyun Crane 2 is the clear winner for me. I did add a grip handle for some more balance, and adding a monitor/mic. Actually, re-purposed an older Atomos monitor that was sitting in its case and it has been a huge help. 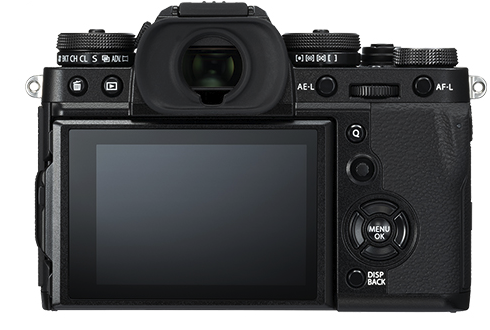 My current video cameras of choice are the Fuji X-H1, and a Canon video camera, XF-15. When the Nikon Z7 comes in for full review, I’ll be using the Crane 2 for that cameras video. Figure that either of the gimbals mentioned will be about $650-$700. The truth for me is a piece of gear that you will use. The DJI has their signature dense foam, which is good for packing , but not for real world use. 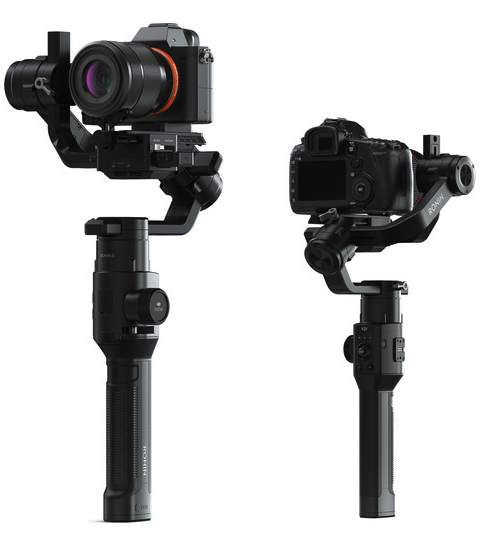 *OK, here is the new news: Zhiyun is introducing a few new gimbals in the coming weeks! 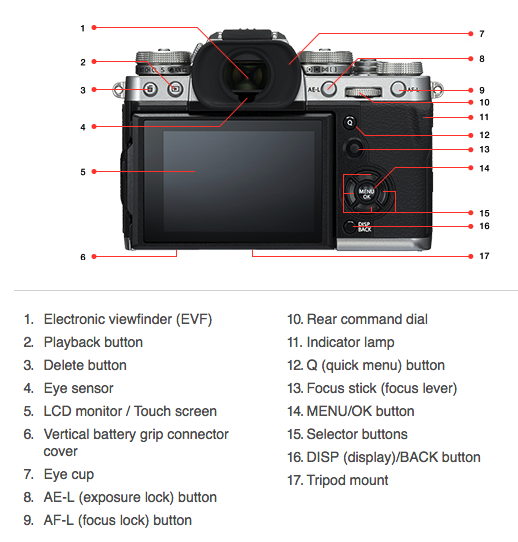 New form factor, follow focus built-in, and a bunch more. No details on avail or cost. Sooooooo… if you are not in a hurry, you can wait. Although, the Crane 2 is a solid choice and prices will come down. And it’s here now! Yes, I did buy this crane. 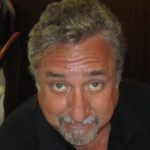 When I spend my dough, I want to make sure it’s the right thing. Your mileage may vary. The summer is over, and the new products are coming on strong! 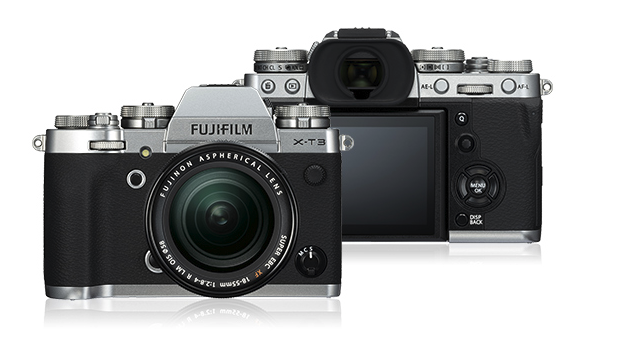 Today, Fujifilm announced their latest addition to the line-up, the X-T3. 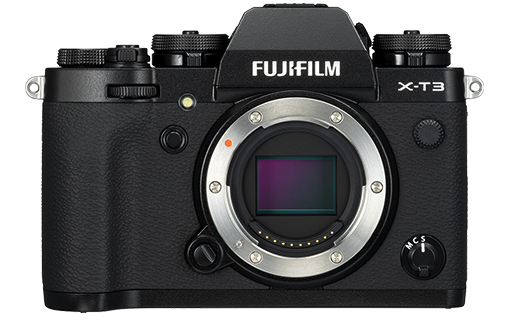 full disclosure I am in the FujiFilm system and have been with them since the 100T, XT-1, X-T2, and X-H1. Lotta love for this system. Is this new body a revelation? Nope. Is it better than the X-T2? slightly. 26mp vs 24 mp. Yes, a new gen sensor. Is it better that the X-H1? not in my opinion. Smaller, yes. If you have not been in the Fuji system and have been considering joining , this is a perfect way to jump in. One thing you may want to do with this, or any new system, is to rent before buying. I always feel that it is a commitment, especially if you are investing in new glass. This is where companies like Nikon, and now Canon had some right thinking: make an adaptor so that the shooter can use the lenses they already own. Honestly, if I’m shooting video with a mirrorless, the X-H1 has been doing great. About to review the Zhiyun Crane 2 using it. If I know I’m shooting stills only, street probably, the X-T2 is the current body of choice. Will I buy the X-T3? probably not. I have had a great experience with the FujiFilm line-up, and would recco putting one in your hands to see if it feels right to you. Should be less that $1600. Avail for pre-order now. Much more coming! 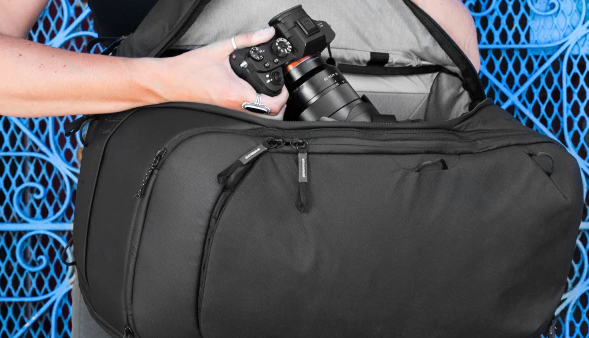 new bags, Smartphone camera tools, cameras, video tools! Oh, and some major photo exhibits! Remember-yes, we discuss tools, and we also want to make sure we are all aware of the images we make. With about a week between them, Canon and Nikon are back in the race. Or has Sony already won? 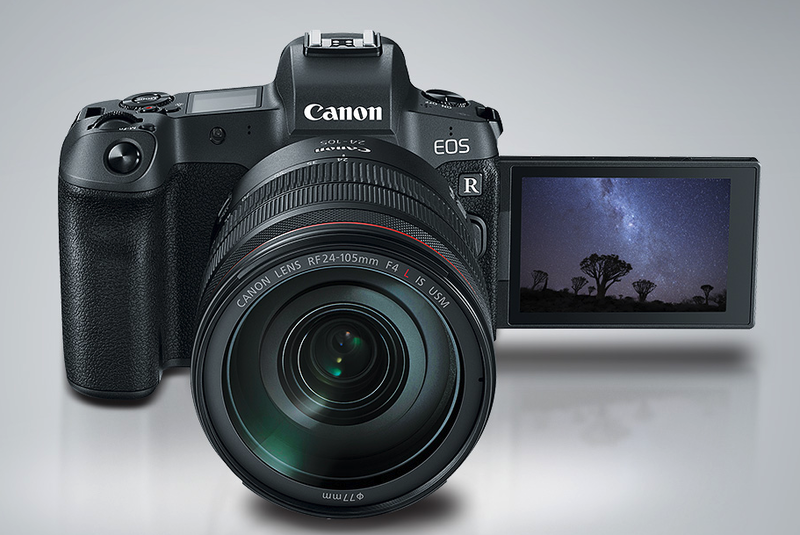 It’s Canon’s turn now with the EOS R mirrorless.